Akumal Bay Beach and Wellness Resort is an all-inclusive, Vacation Express Favorite, family-friendly hotel in Riviera Maya. 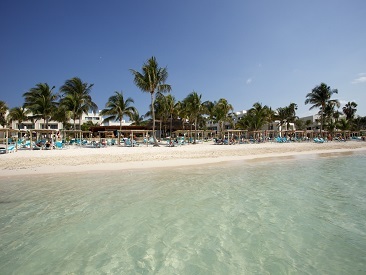 A white-sand powdery beach, world-class snorkeling and excellent diving options are just a few of the amenities that make Akumal Bay Beach an exciting, relaxing resort. Every part of this hotel is accented with a sophisticated simplicity that accentuates the intimate atmosphere of a small resort. Between Playa del Carmen and Tulum, Akumal Bay Beach and Wellness Resort offers one of the best beaches anywhere, with over a mile of white sandy powder beach, world-class snorkeling with sea turtles and top diving with a great variety of life that thrives within the live coral reef just steps from the guest rooms. The relaxed atmosphere in Akumal captivates the spirit of a laid back Mayan Riviera beachside town. Akumal Bay Beach and Wellness Resort offers a truly unique experience for guests seeking the best possible beach vacation. 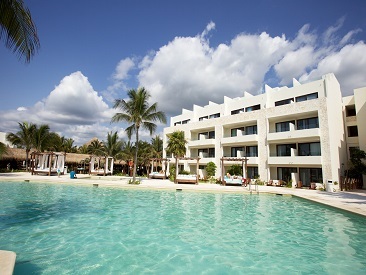 All 324 guest rooms are located in buildings within steps of the ocean and feature breathtaking views of Akumal Bay. With the convenience of an All-Inclusive, Akumal Bay Beach and Wellness Resort provides guests with a sophisticated simplicity and friendly service in the intimate atmosphere of a small resort. 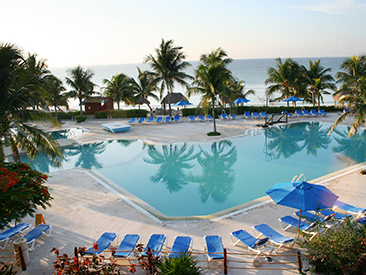 Located approximately 55 minutes from the Cancun airport, 25 minutes from Playa del Carmen and 20 minutes from Tulum. In the ancient language of the Mayas, long before Cancun, there was a magic place called Akumal--"Place of Turtles." *For day of choice, must be booked with concierge once checked-in the hotel. Conditions: Honeymooner must be mentioned when booking and in Hotel voucher. Marriage certificate required upon checking in.